"Mengele Zoo" is a Brazilian expression describing a situation out of hand. Awarded "Best Norwegian novel throough the last 100 years" at Lillehammer International Literature Festival in 2007. Mino was born in the South American rainforest. He loves the scents, the sounds, the green, the diversity of life. To make a living, the young boy preys on the rarest of the beautiful butterflies together with his father. Their small community is disturbed by the major petrol companies wanting to exploit the rainforest. One day when returning from his daily hunt, Mino finds his family and friends massacred by the military which are in the pocket of the petrol companies. He flees into the unknown parts of the rainforest alone. Isidoro; a travelling magician finds him and adopts him; training Mino to become a young «mago». They form a spectacular show they take to small villages on the Latin American continent for years. Mino will become a student years later, emphasizing on biology and eco-philosophy. At the university he finds allies and together they create the dangerous Mariposa movement which aims to direct the world’s attention to the destruction of nature caused by international companies. They begin systematically assassinating the leaders of the companies which commit crimes against the environment and people in the poor world. Gert Nygardshaug masterfully combines lush narrative capacity and imagination with a high voltage drama describing Latin American reality. 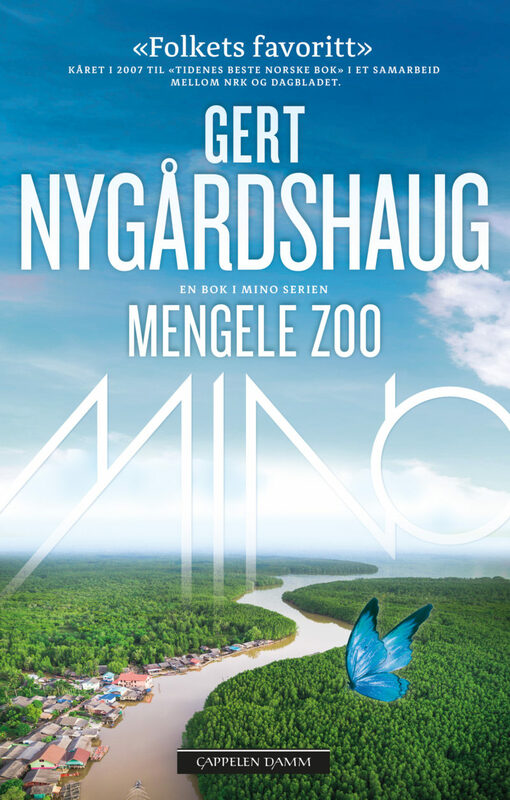 The book deals with themes such as environmental concerns and imperialism; and based on Nygardshaug ́s experiences when living in the Latin American rainforest. A powerful and disturbing book; the best I have read so far this year.